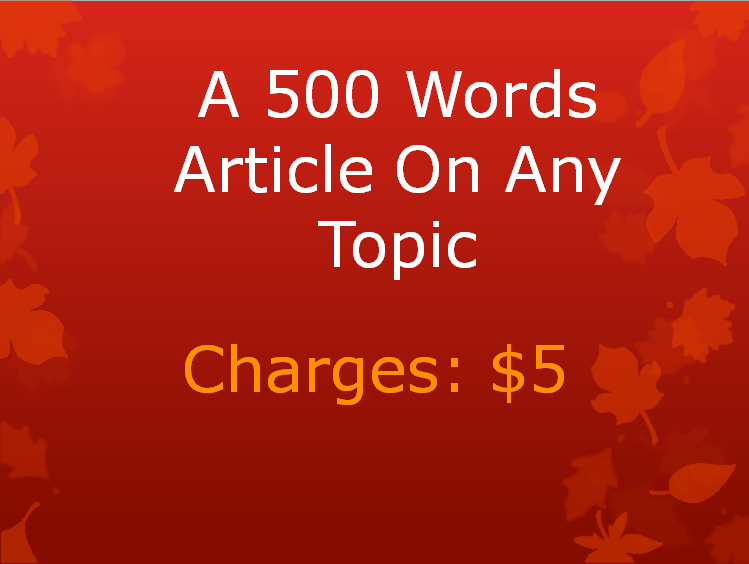 I can write a 500 article on any topic that you may desire. All I need is the title of the article and a key word if any. I can also search and suggest topics as long as you let me know what you are looking for. I can write both for SEO and for human. I am a trained technical teacher, but I have worked as a freelance writer for the past three years. I have experience writing ebooks, articles, web content, reports, SEO articles, sales...Read moreI am a trained technical teacher, but I have worked as a freelance writer for the past three years. I have experience writing ebooks, articles, web content, reports, SEO articles, sales emails and term papers among others.